Oh fresh breath of Spring! I have just heard the season’s first Robin song. My windows are open wide to let in the cold air just so I can hear you more clearly. You are always a most welcome guest. Spring is upon us. At long last. Your song melts our heart. Hello Spring and all your glory. This entry was posted in reflections, observations & musings and tagged American Robin, grateful, gratitude, happiness, inspiration, motivation, philosophy, positivity, Spring. Bookmark the permalink. What a wonderful lift to our spirit; both the robin’s cheerful presence and your delightful springtime prose! Once again I am grateful for your positive insight into our beautiful moments often missed by the busyness of our lives. Thank you! 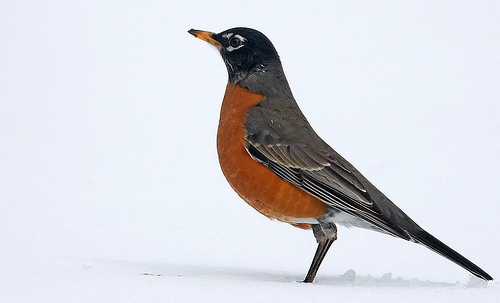 There’s nothing like that first Robin’s song of the season. It always lifts my spirits. So glad you enjoyed it.